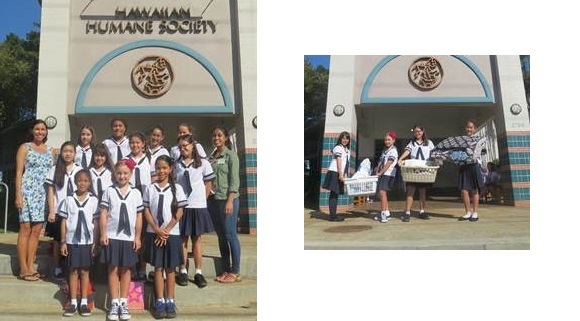 The Grades 4-6 Digital Media Club went to visit the Hawaiian Humane Society to learn more about ways to support and care for animals in Hawaii. They interviewed and filmed the volunteers and are working on producing commercials about adopting pets, caring for them, donating, and volunteer opportunities. The students enjoyed spending time with the animals and learning more about ways to help. They were also excited to donate some blankets, bedding, puppy pads, dog bowls, and dog shampoo that day.